Choosing the one specific term that describes six different writers with very different styles and genres, can be a daunting task. One would think that such an imaginative group could quickly produce a name so extraordinary, so remarkable that the mere mention of it would describe each individual and their genres perfectly. We settled on something a little less complicated. So, how did we choose the name? We tossed words onto a dry erase board, and then the six of us wrestled them around until one stood up and screamed, “Pick Me!” And what is the name that captures the essence of our critique group? 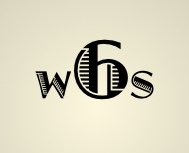 Wordsmith Six consists of six writers who cover the spectrum in genres—a group of a half-dozen close friends who love words, whether we’re reading, writing or researching them. We have individuals who write Women’s Fiction, Historical, Inspirational and Screenplay. Others love Romance, Western, Christian fiction and Middle grade children’s books. Included are authors with published Fiction and Nonfiction books, TV Documentaries, Song Lyrics, Humor and yes, even HORROR. We have lots of stories to tell and you’re invited to follow along. Click on the author page above to connect with Rory. This entry was posted in Rory C. Keel, Writing and tagged Blog, Cait Collins, Critique group, genres, Lyrics, nandyekle.com, nataliebright.com, Rory C. Keel, roryckeel.com, Wordsmithsix.com, Writing by wordsmithsix. Bookmark the permalink.